If you are looking for a way to showcase a new boot release in dramatic fashion, wrapping a high-speed Nissan GT-R in the exact same colorway is a pretty perfect start! 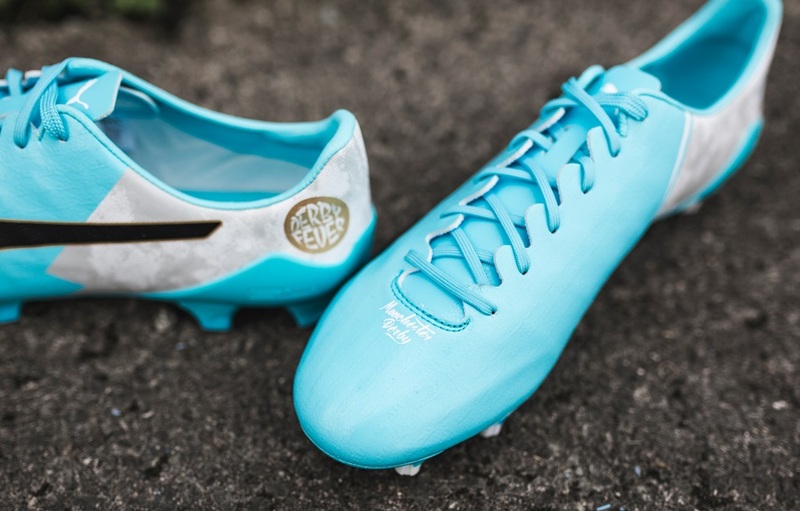 Sergio Aguero is the latest high-profile player to receive a pair of custom designed Derby Fever evoSPEED SL-S. “Derby Fever” is a graphic boot collection that celebrates the epic meetings between local football foes. 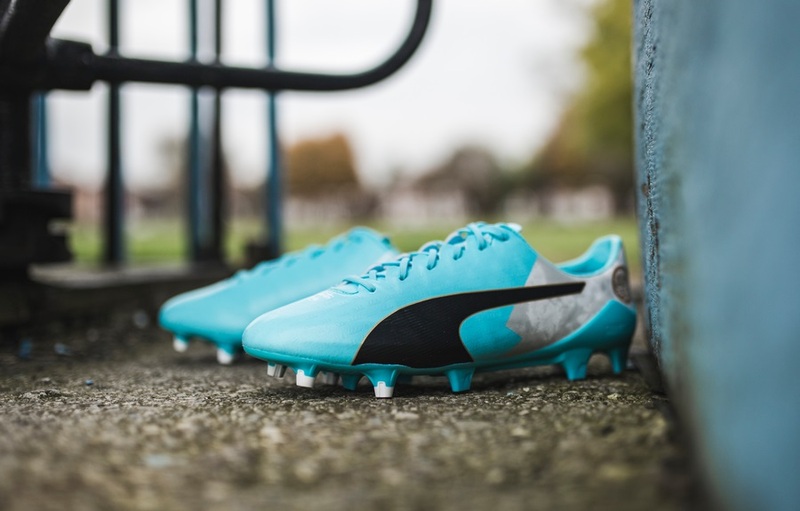 The boots were designed with direct input from Aguero and include the sky blue of his home kit and graphic elements inspired by Manchester’s proud history of industry and hard-working spirit. PUMA approached Yiannimize, the number one choice for Premier League players’ supercar customization to wrap the GT-R’s 3.8-litre V6 24-valve twin-turbocharged bodywork, with the bespoke design of the boot. With 560 BHP, the car reflects Sergio’s passion for supercars and his own performance traits of speed, acceleration and agility. I knew nothing about this but as a supercar fan, I was pretty excited when the custom wrapped Nissan GT-R parked up to deliver my evoSPEED SL-S Derby Fever boots. The boots and the car look great, I can’t wait to wear the boots in the derby, it’s the first fixture I look out for when the fixtures are announced. What do you guys think of the design? 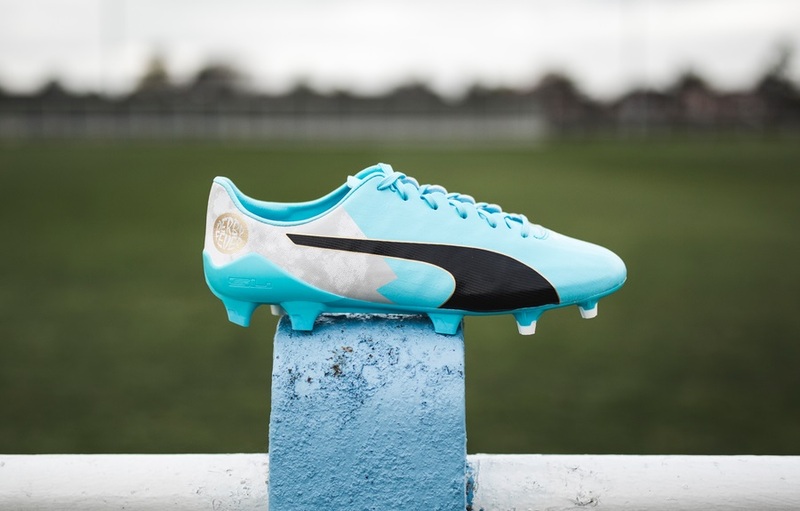 And will they be enough to help Aguero bag some Derby Fever goals? 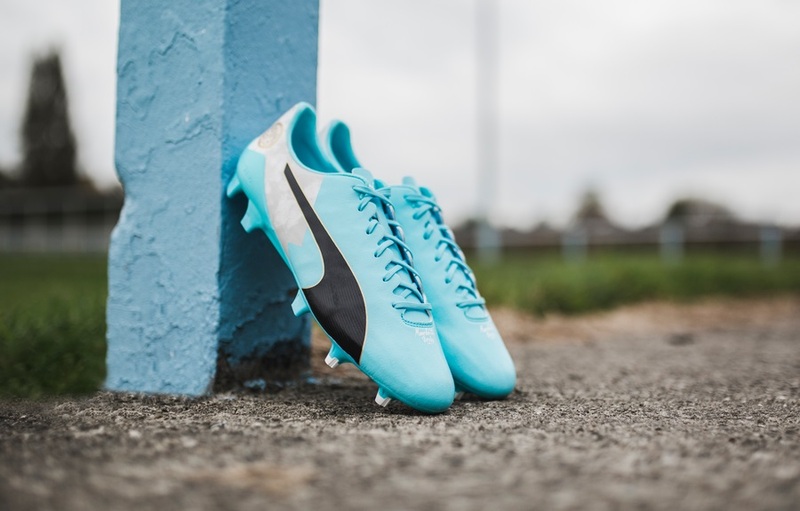 These boots are not set to be released in the US (probably because there are not many Man City fans here) but there is a wide selection os evoSPEED SL-S boots available, all of which you can find at soccer.com.